Technology continues to advance at an exponential rate, which is why the way we travel continues to evolve on a daily basis. But what’s in store for air travel in the future, and what trends are we already seeing? 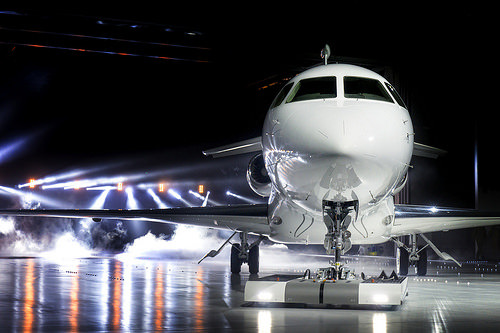 Ultimately, private jets are quickly becoming a more accessible and affordable way for us to get around – regardless of whether we’re travelling for business or pleasure. Below, we’ll explore why private jets are transforming air travel and why you might be travelling in this luxurious style soon. Thanks to technological changes, how we approach travel on the whole has changed dramatically in recent years. Now, we can access almost everything we need through our phones, quickly touching a few buttons to book our travel from A to B. This has meant that many businesses have had to start adapting to this flexible travel that’s available on demand. Uber is a great example. With over 40 million customers using this service on a monthly basis, it’s clear flexibility is paramount to many travellers. Uber offers cheaper fares, easy-to-order services and a simple payment process, while also giving customers more insight into what’s on offer through ratings and tracking. And this app-based service has been adopted across all types of travel, including private jets. Adopting a very similar model to Uber, even private jet companies are allowing their customers to book private jets through their handheld devices so there’s no hassle with ringing up and having to arrange flights – you can see what’s available there and then, booking straight away. These changes aren’t just making booking travel easier, they’re also bringing down the prices of travel because of how savvy customers are getting with finding the next best deal. When aviation first become commercial, private jets were reserved for the rich and famous. However, as fares become increasingly affordable, it’s now far more accessible to all types of customers. For example, you can travel by private jet at a greatly reduced price if you book an ‘empty leg’ flight. These are a single journey with a private jet that may have been booked on a one-way trip to a certain destination but needs to travel back to its hub. Because the jet is already making this journey, the airline running the service dramatically cuts the costs for passengers to try and entice them to use this service that would be otherwise empty. From Dubai to New York, these flights are popping up all over the place. Finally, there’s the fact that private jets are often a more cost-effective method of travel for business travellers. Not only is it the lowered costs of flights that make this achievable, but the fact that business people have more chance to get things done when travelling in this way. From spending no time queuing to get through security at the airport to being able to work in privacy while they’re in the air, private jets give business travellers far more time to get things done – and in business, time is money. As luxury travel continues to innovate and adapt to changes, it’s clear private jets will be part of our itinerary in the not too distant future. And just like cheaper airlines, they too will be the place to seek the most affordable routes to your end destination. I hope those will become more affordable! It is a real pleasure to be able to trip like this! Also, I love taxi flights! I think jets are more time saving than other travel vehicles, and specially business person take jets so that they can save their time and make the most of it. And in private jets you can do whatever you want, you can relax, eat, sleep and just be yourself with the affordable price. And i think you mentioned all the things pretty well in your post. Thanks mate for this amazing article.